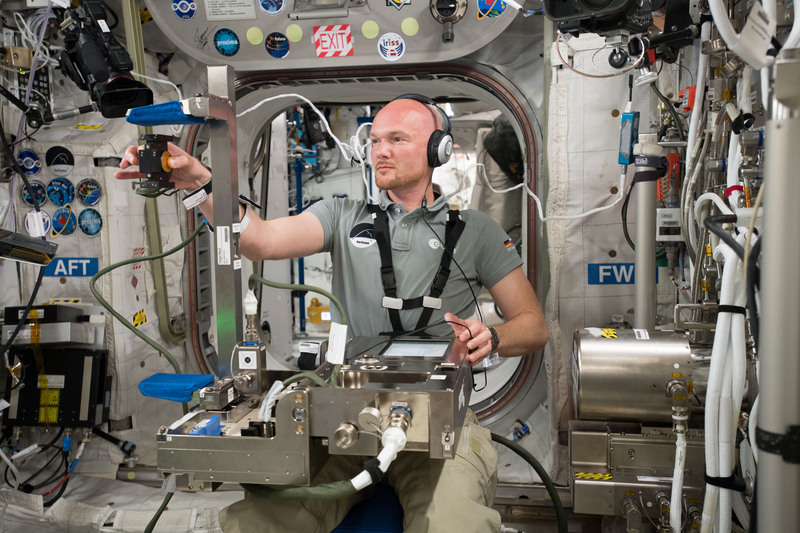 With ESA astronaut Alexander Gerst set to return to Earth Thursday morning, his final two weeks in orbit have been far from relaxing. 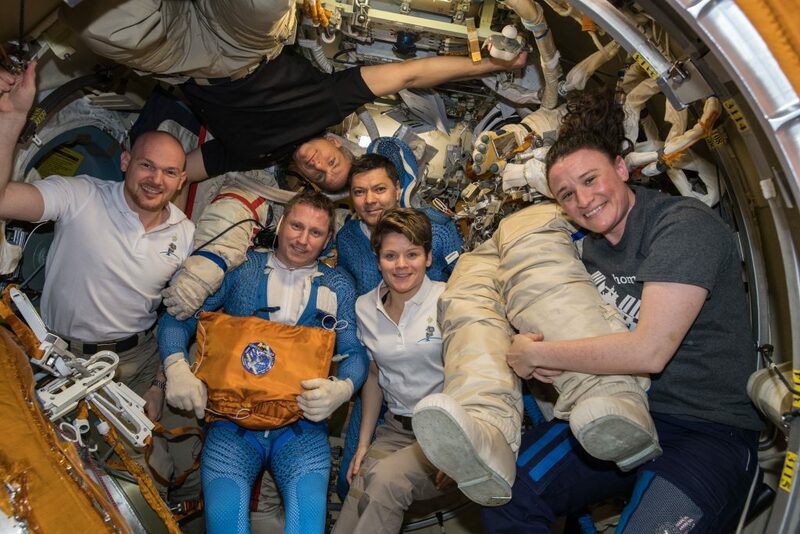 The science continues with more astronauts on board, two Russian cosmonauts stepped outside to inspect the Soyuz, and Alexander is busy preparing for the ride home. Last week the Molecular Muscle experiment ran unattended in ESA’s Kubik incubator centrifuge and ended its session on Friday. 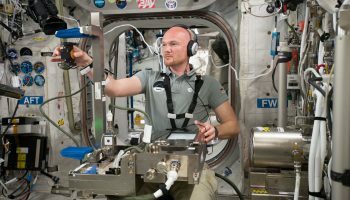 The experiment saw thousands of microscopic worms grow in weightlessness, allowing researchers to monitor how their muscles react to spaceflight. This experiment will return to Earth in the same SpaceX Dragon cargo ship that brought it to the Station. On Tuesday, cosmonauts Oleg Kononenko and Sergei Prokopiev donned their spacesuits to inspect the Soyuz MS-09 spacecraft that will transport Alexander, Sergei and NASA astronaut Serena Auñón-Chancellor home. The spacecraft had a leak in part of the module that is discarded before reentry. 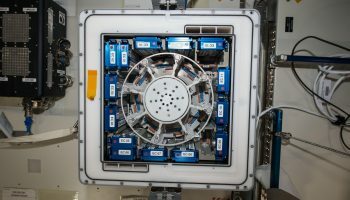 The hole was quickly patched from the inside and the atmosphere in the Space Station has held steady ever since, but the agencies that run the International Space Station wanted to inspect the outside to better assess how the leak could have occurred before it undocks on Thursday morning. All is looking good for the journey back to Earth. 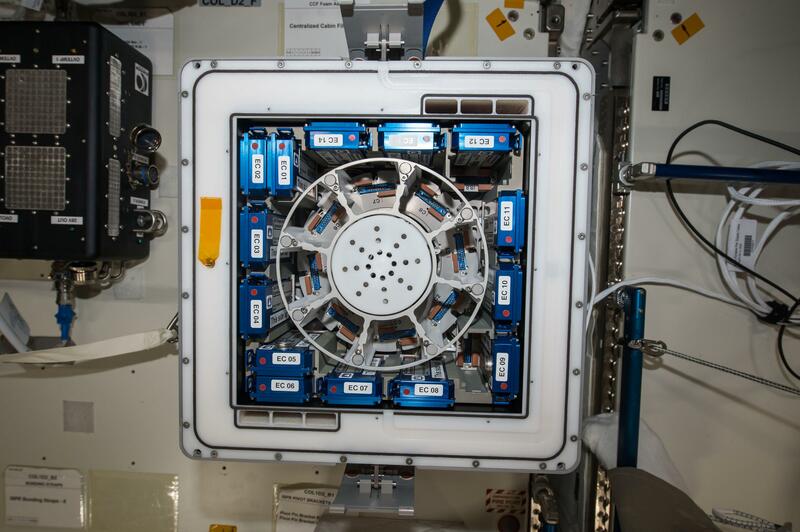 On Wednesday Serena installed the SODI-DCMIX-4 experiment in ESA’s Microgravity Science Glovebox. Fluids and gases are never at rest, even if they appear to be when viewed by the naked eye. Molecules are constantly moving and colliding even though there is no microscope powerful enough to see them. 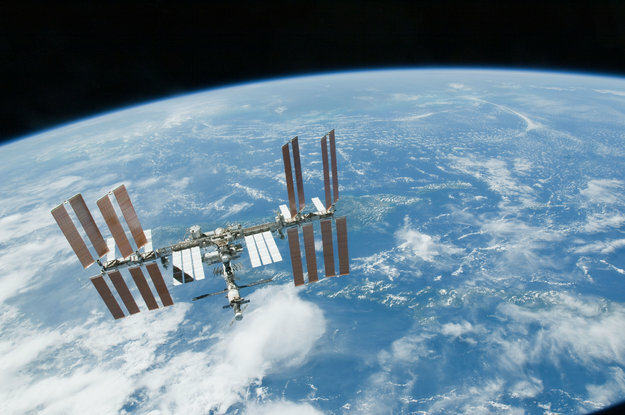 A liquid mixture on the International Space Station is free from the constraints of gravity and will only react to temperature. SODI-DCMIX exploits this fact to record concentration gradients in mixtures in space to understand how molecules behave in liquids. NASA astronaut Anne McClain arrived at the International Space Station two weeks ago and completed her first session of the Circadian Rhythms experiment last week. 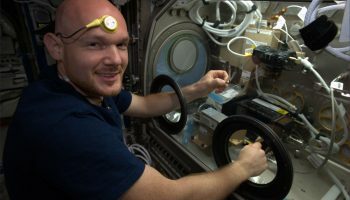 The Circadian Rhythms experiment looks at how astronauts and people in general cope with living and working irregular hours. 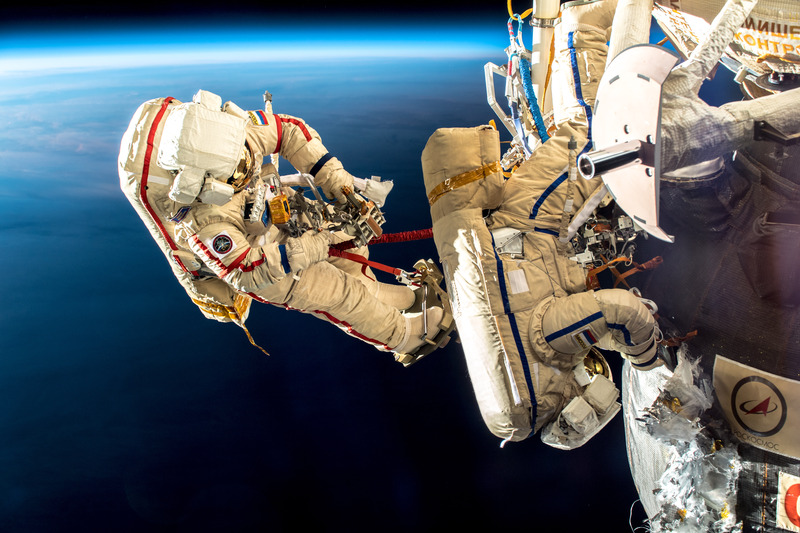 An astronaut on the Space Station typically spends six months in artificial light with 40 minutes of daylight followed by 40 minutes of night successively. For 48 hours, Anne wore a thermometer specially designed for spaceflight to monitor her body temperature – an indication of sleep patterns – while continuing to work and exercise as normal. On Thursday the latest commercial experiment was installed in ESA’s Columbus laboratory. The space greenhouse supplied by the International Space University was slotted into the ICE Cubes facility before being powering up and checked on Friday. Preparations were also made for Anne and David’s first session of the Airway Monitoring experiment. 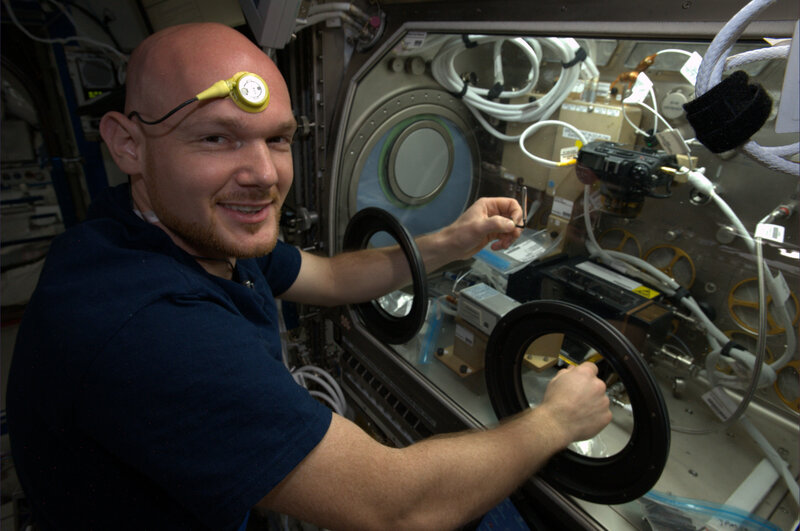 This experiment compares lung health in normal atmosphere with lung health in reduced pressure and is the only experiment to use the Quest airlock for science. The normal pressure session will take place in the US Destiny laboratory on Monday 17 December. On Tuesday Alexander will do a last session of the Grip experiment. His previous sessions in supine position had issues with data recording so the researchers requested a final opportunity to get the missing data. Grip looks at how an astronaut’s brain adjusts to weightlessness and how we calculate how much force to exert when holding objects. The Time experiment has been mentioned many times before, as Alexander Gerst was the first astronaut to take part. However, scientists are always eager to get as much data as possible and Anne and Canadian astronaut David Saint-Jacques will do their first sessions on Wednesday. 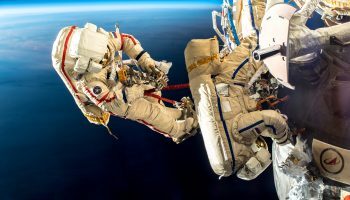 On Wednesday Alexander will hand over command of the International Space Station to Oleg in a traditional ceremony that involves ringing a bell to mark the event. Later that night Alexander, Sergei and Serena will enter their Soyuz spacecraft and return to Earth. Details and how to watch live can be found here. On Thursday, Alexander, Sergei and Serena will be back on Earth but David, Anne and Oleg remain to continue the science in space. Due to the late departure, these three astronauts will take Thursday off as ‘sleep day’ to recuperate, returning to normal duty on Friday.